On November 30, you will be gathering in Buenos Aires for a vital meeting of the G20. You will be considering the many challenges facing our world and striving to find the best way forward. The most widely recognized challenges include trade disputes, climate change, economic instability and threats of war. 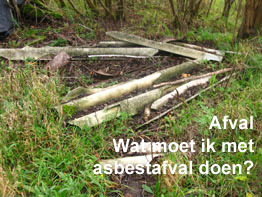 Less widely known is the devastating impact of exposure to asbestos. In 2017, over 230,000 people died of asbestos diseases, the highest level yet recorded. While the majority of these deaths resulted from occupational exposures, many have come from environmental exposures as well. In addition to the terrible human impact, there is also an enormous related economic cost. A recent authoritative Canadian study has estimated the annual cost for asbestos related cancer suffered just by Canada at over $2.3 billion (Cdn.). We can assume that the worldwide cost is many times this amount. In the over 57 countries which have banned asbestos, these deaths stem mainly from exposures up to the 1990s; but another epidemic of asbestos disease is developing in the countries which have not yet banned asbestos. Countries such as India, China and Russia, to name just a few, have significant exposed populations. Their trend line of asbestos fatalities is alarming – in India for example, a more than 300% increase from 1990 to 2017. All of these deaths were preventable. 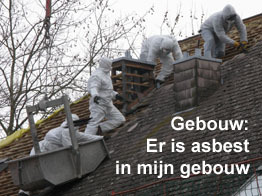 The hazards of asbestos have been well known since the 1960s if not earlier. And good alternatives exist for all the major uses of asbestos. Even Canada, historically the largest miner and exporter of asbestos, is implementing a ban on December 30, 2018. In the context of the many problems you will be addressing in Buenos Aires, asbestos stands out as an exceptionally well documented, focused issue where much progress has been made in the world; and where those countries which have banned asbestos stand ready to support others who wish to take the same path. You also have the example of your host, Argentina, and other Latin American countries which have been leaders in banning asbestos. 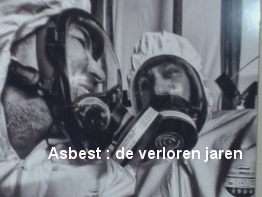 The time has also come to list chrysotile (white asbestos) during the 2019 meeting of the Rotterdam Convention on Prior Informed Consent for international trade in hazardous substances. All other ypes of asbestos are already listed. Enough Victims, enough suffering! 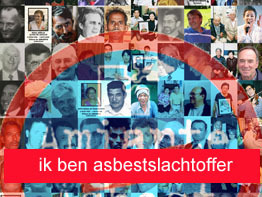 We the undersigned call on you to take decisive action to ban asbestos worldwide. 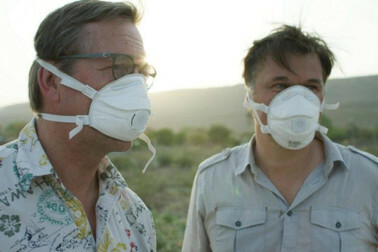 We represent the broad and visible social forces which have come together around the world to ban asbestos. This includes labour unions, employers, asbestos victims’ groups, public health organizations, health researchers, environmental groups and many concerned individual citizens. 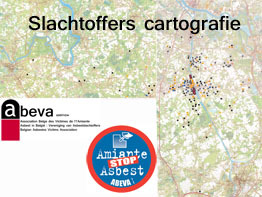 Asbestos is not a story from the past. It is a serious current challenge. The time has come for a total worldwide ban to be implemented. Can we count on you to let us achieve this? Of een wandeltocht van 6/10 km vanaf 10 uur. Doorlopend Hap en Tap met ons kriekbier Kuitenbijter van microbrouwerij "de Triest"
Het nieuwe nummer van ons newsletter werd deze week gestuurd.